We have established a fact that effective moisturizing is a must when it comes to eczema skin, either for therapeutic or preventive effects. As explained in earlier chapters, the eczema skin does not function as a barrier the way it normally would. Even more so for baby skin which is thinner, immature and not fully developed; making it vulnerable to toxicity of chemicals that can easily penetrate into the skin. It makes sense that we should be discerning about slathering too much synthetic, harsh chemicals on your baby or child’s body. The more the exposure, the more likely your child is to develop an allergic reaction to a chemical. • Free of: Parabens, Mineral Oils, Petrolatum/Petroleum/Petrochemicals, Preservatives, Formaldehyde, Phthalates, Artificial or Synthetic Dyes/Colourings, Fragrance/Parfum, Cortisone/Steroids, Silicones, Sulfates (SLS, SLEs), PEGs, etc. • Manufacturer or distributor information, etc. Before buying into a brand or its products, we also strongly encourage you to look into the brand story of the Company. Go to the official website of the brand and check out its ‘About Us’ page. At the crux of it, brand story will give you a general feel about its personality and offers you an inside look into its core values and brand philosophies. A good quality brand name will exude caring, ethical yet professional mannerism. Your perceived quality and trust for a brand will be a culmination of all the reviews shared by their customers, stories generated by the press, quality accreditation and awards, customer engagement, care and support with their internal teams, depth and width of their distribution network and the lie. After all, product claims on labels are not strictly regulated and up to the Company to define. It is up to us to exercise a little due diligence to convince us whether we should buy into a brand. 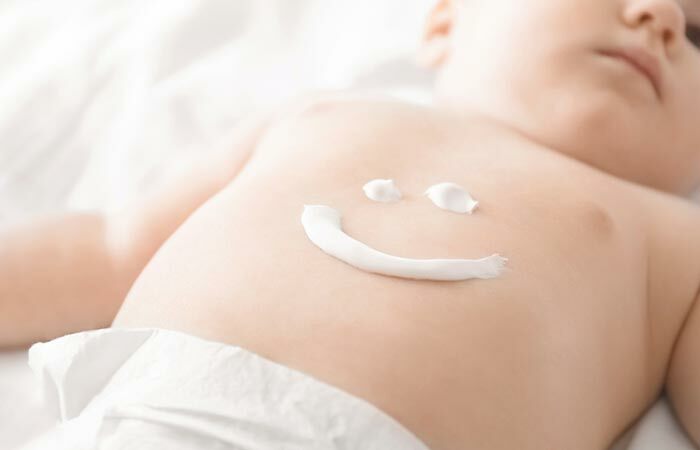 Having in mind which types of moisturizers – ointments (balms), creams or lotions you wish to try for your child also helps narrow your search. Our preferred type of moisturizer is ointment or balm typed formulations because they are predominantly oils-based with no or little water. Even though they can be unpleasantly greasy, they tend to have excellent occlusive properties (meaning it can offer a protective layer on skin surface) for very dry, itchy eczema skin. Generally, they do not sting or burn as they are unlikely to contain preservatives. Microorganisms need the presence of water to grow, therefore products without water – ointment or balms – do not require preservatives in the product. Due to the hot, humid weather, some may prefer to work with water-based preparations such as gel, lotions or creams. They do not leave a sticky feel and feels lighter as they absorb quickly into the skin. However, this also means that they lack the occlusive effect of the balm and can actually end up adding very little water to the skin in some cases. Be aware that certain lotions and creams can cause stinging and burning sensations when applied to cracked or wounded skin because of the preservatives, fillers or stabilizers used in the product. Should you decide to try water-based gels, lotions or creams, go for a “pH-Balanced” moisturizer. It suggests that this product falls as close to our normal skin pH range of 4.5 to 5.5, which is slightly acidic. This pH range may stabilize the protective acid mantle of skin and prevent further disruption of the skin barrier and its antimicrobial functions. Skin pH can affect the enzyme balance on our skin which is why the more alkaline a product (especially leave-on product), the more drying it is for the skin. Given that a child with sensitive skin such as eczema and can be allergic or intolerant to many chemicals, the few ingredients there are in a moisturizer, the less likelihood for hypersensitive skin reaction or a flare. We are unable to tell you exactly how many ingredients a product must contain because different formulations include different quantities of various ingredients. For example, a lotion will have a longer list of ingredients than a balm because it contains water and needs more emulsifier, stabilizer, a mix of preservatives, pH adjuster and so on. On the other hand, the balm contains just oils, wax and an antioxidant. • Emollients to nourish, hydrate and replace lipids of barriers e.g. Plant Oils, etc. • Occlusive to create a barrier that reduce water loss e.g. Oats, Waxes, Plant Oils, etc. • Humectant to pull moisture from the environment to the upper layer of skin and enhance moisture retention e.g. Glycerin, Hyaluronic Acid, Sorbitol, Lecithin, Panthenol (Vitamin B5), Gluconolactone, Propanediol, Sodium PCA, etc. • Calm burning sensation and itch e.g. Herbal Extract, Aloe Vera, Calendula, Colloidal Oats, etc. • Anti-inflammatory and anti-microbial. More details in Point 6 below. • Avoid common irritants and allergens. More details in Point 7 below. • Pleasant scent, easy application and ideal texture. Since skin cannot produce most essential fatty acids (EFAs) on its own, plant oils rich in triglycerides, EFAs, tocopherols, sterols, phospholipids, squalene, phenolic compounds, etc offers better nutritive and therapeutic effects; including antioxidant, anti-inflammatory, antimicrobial, wound healing, repair of skin barrier, etc. • Anti-inflammatory: Resveratrol, Licorice Root, Chamomile, Calendula, Lavender, etc. • Anti-microbial: Elderberry, Olive Leaf, Coconut Oil, Tea Tree Oil, etc. • Antioxidant: Vitamin E, Seabuckthorn, Evening Primrose Oil, Rosehip Oil, etc. • Wound repair: Aloe Vera, Honey, Allantoin, Olive Leaf, etc. Artificial perfume or fragrance: This synthetically derived fragrance should not be confused with the natural fragrance of essential oils. Synthetic fragrance, otherwise known as perfume, and its aromatic compounds are commonly labelled as ‘Parfum’ or ‘Fragrance’ or ‘Aroma’. With eczema, skin allergy to fragrance ingredients is very common. Natural aromatic compounds such as essential oils also have the potential to irritate. In the European Union (EU), its Cosmetic Directive requires the presence of 26 fragrance allergens to be indicated on the label if its concentration exceeds a known threshold, so users are aware of their presence in the product. Propylene Glycol: A humectant or water-drawing ingredient used in many lotions, in particular, topical steroid cream. There had been documented allergic reaction to topical cortisone medication that appears to be caused by propylene glycol used in the cream. Colourants or Artificial Dyes: Colouring agents can be found on the label. They are usually added last on the list with their respective index number or denominations. You can look for “D&C” along with a colour and number; e.g. Red17, Yellow7, Blue106 or a Colour Index (CI) numbers e.g. CI75000. Sulfates: They are often found in cleansing products e.g. detergents, facial wash, body wash, shampoo, etc. Look out for Sodium Lauryl Sulphate (SLS), Sodium Laureth Sulphate (SLES), Ammonium Laurel Sulfate (ALS), Sodium Dodecyl Sulfate, Sulfuric Acid, Monododecyl Ester, etc. Ingredients must be declared in descending order of weight at the time they are added in the product. Therefore, the first ingredient has the highest content. E.g. In a lotion, “Aqua” (other word for water) usually appears first. In a balm or ointment, “Coco Nucifera (Coconut) Oil”, for example, may appear first since it is oils-based. The list of some ingredients and keywords listed above may have already left you overwhelmed. Unfortunately, unless you are a chemist or skincare formulator, understanding so many chemical names and their various toxicological profiles is almost impossible to master for most parents. Good news is that you can use the Think Dirty app or EWG’s Skin Deep database to easily look up any ingredient or chemical in a product. These tools allow you to learn about their impact on your body and whether or why you should avoid them. Eczema is a chronic condition and the use of emollients is frequent and perhaps, long-term for your baby and child. For every parent with eczema child, budget is also a determining factor among other criteria. Your individual preference cannot be undervalued because once you have chosen your emollients, staying committed to and comply with consistent and frequent moisturization is essential to have maximum benefits. Whilst there is no absolute baseline of where to start with, do be careful of overly cheap products that are scented with artificial fragrance or laden with chemicals that can be allergens that break down the skin barrier further; versus high-quality, pure ingredients from natural vegetal oils that are frequently more expensive. Make “functions” the basis of your decision making for selecting the right moisturizer. You will not usually go wrong if guided by the above criteria that make sense to you, given your constraints e.g. budget or time to moisturize. 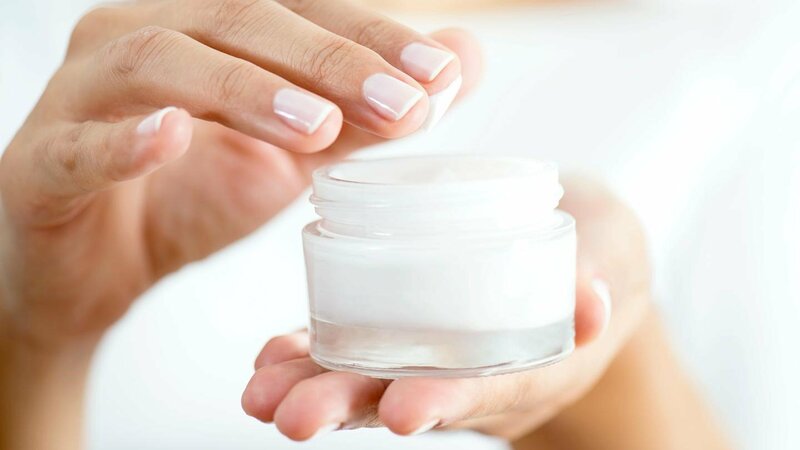 Do try out one or more moisturizers to find one that works best for you and that allows you to stay committed to a daily moisturizing routine. We cannot stress enough how important it is to moisturize. It is a routine that cannot be missed or one that you ‘try’ to stick to. You may find that you prefer to use Lotion A in Month 1, Balm B in Month 2. There is no right or wrong; only what works for you the best! What works for you may be completely different from what works for another person. Rotating the use of moisturizers is not a bad idea after all. It can prevent prolonged exposure to a product which contains ingredient that your child may be slightly sensitized to. By switching to another emollient that contains different ingredients, your skin may also benefit from these efficacious ingredients that are not found in one product alone. If you are introducing a new product to your child for the first time, it always helps to perform a skin patch test before use. This test essentially helps you avoid possible adverse reactions to new ingredients or products, especially when your child has a very sensitive or eczema skin to begin with. When you are testing a new product on the face, the side of neck is a good starting place as the skin is thinner and more reactive. So, if the product used can be tolerated on your neck, you can confidently use that on your face. Similarly, for body product, test the inner side of your child’s arm for a reaction. If you are scratching away at the itch of your child’s eczema, stay tuned to the article, Scratching an Itch. In this chapter, we share a little about when your child’s eczema itches, what you can do about them. Plus, a look into your existing skincare (also itch-care) strategy and factors to consider to assess if it’s time they can use a little help or adjustment. This entry was posted in Baby Eczema, Eczema & Dermatitis, Eczema & Moisturizing, Eczema & Triggers, Itching & Scratching and tagged avoid allergens in eczema, brand story of eczema products brand, different types of moisturizers for eczema, eczema triggers, finding right moisturizer for eczema, ingredients on eczema products, patch testing on new products, read labels on moisturizer, strong brand and product quality.